Bellevue Place Education Trust was established in 2012 by two founding organisations – Bellevue Education and Place Group – who both have considerable expertise within the state and independent education sector. 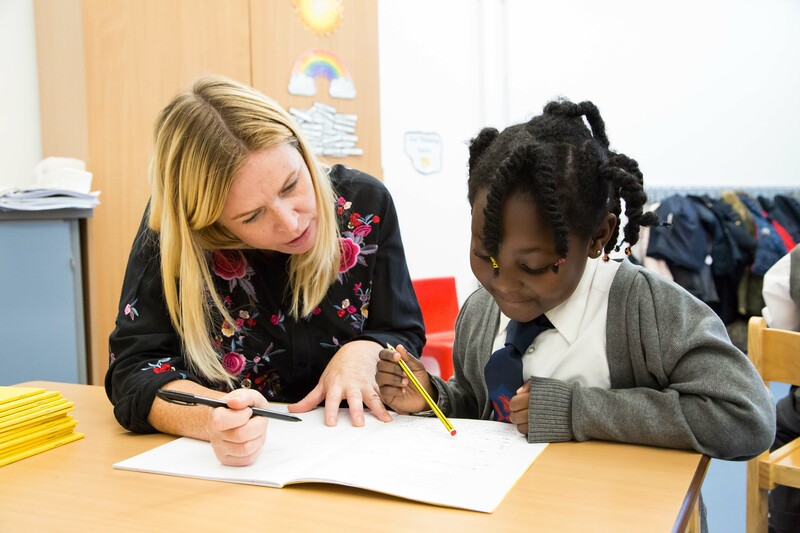 The Department for Education approved the proposal to establish Bellevue Place Education Trust as a Multi-Academy Trust to provide much needed new primary school places across London and the south east. Bellevue Place Education Trust has benefitted significantly from the commitment of time and resources provided by the two founding organisations. As a start-up Trust, there was no existing infrastructure or personnel. 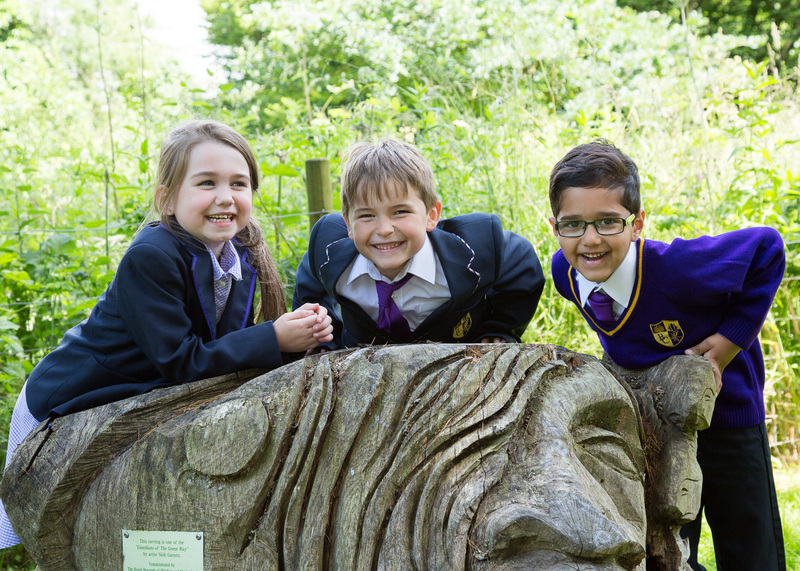 Six years since being established, Bellevue Place Education Trust has grown to become a strong school operator establishing seven successful primary schools. The two organisations continue to share their combined expertise with the Trust and its schools. Bellevue Education and Place Group are deemed to be related parties to Bellevue Place Education Trust as set out in the Academies Financial Handbook, and therefore act in accordance with the Department for Education’s guidance in this respect. Related parties arise where one party has control or influence over the other, or where the parties are subject to common control. This includes parent companies and their subsidiaries, key management personnel including company directors, their close family members and other entities in which these parties have a controlling interest. Accounting standards require transactions between related parties to be disclosed in company financial statements as related party transactions. Such transactions are permitted under company law, charity law and under the Academies Financial Handbook, provided that open and transparent procurement procedures have been followed, and any potential conflicts of interest are adequately and appropriately managed. Due to the nature of academy trusts’ operations and the fact that many academy trustees are drawn from local public and private sector organisations, it is unsurprising that some related party transactions occur. Our review of the related party transactions disclosed by trusts identified the most common types of related transactions to be the purchase, sale, lease or donation of goods, services, property, or money. Bellevue Place Education Trust welcomes the transparency of the Related Party Transaction review and the guidance this offers. These transactions are a consequence of successive governments to harness the experience and expertise of organisations who can provide high quality education provision in state-funded schools. The Department for Education has encouraged such organisations from the commercial and private education sectors to establish Multi Academy Trusts to help meet the demand for additional school places, and to provide parents with choice and diversity of high quality schools. This additional transparency is offered, as public information about the contracts is made available through our Audited Annual Accounts. 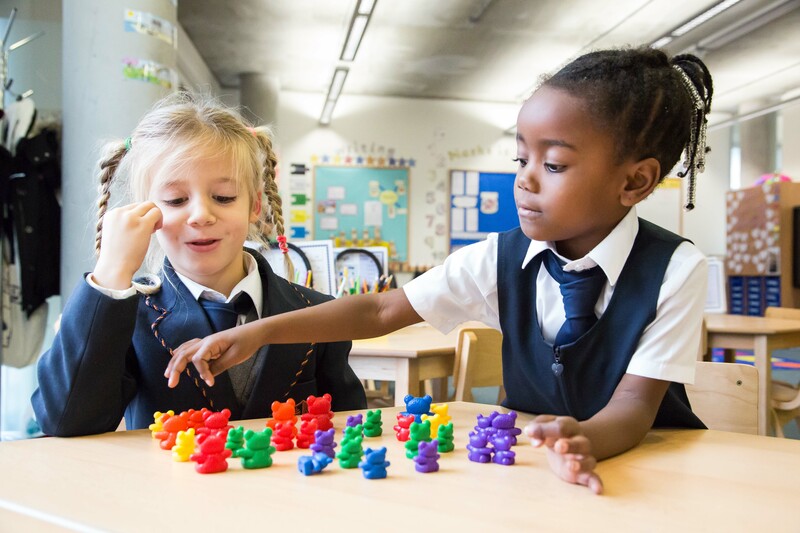 Bellevue Education International Ltd, which operates 17 highly successful independent schools in the UK, Switzerland and Qatar, and that shares its vision of challenging pupils whilst installing creativity of thought and independent learning. The review cycle is a key element of the BPET School Improvement Strategy. The cycle of high-quality visits provides the Trust with an overview of the performance of the schools as well as supporting Heads with their improvement strategies, linked to the vision of the Trust. Following each visit, the school receives a report outlining its strengths, together with recommendations for improvement based on successful practice from both the state and independent education sectors. The report also highlights areas where greater focus may be required to ensure the school is addressing its overall performance. Each report is made available to the Local Advisory Board and the Bellevue Place Education Trust Board, providing Trustees with an overview of the standards for each school on a half termly basis. The School Improvement service was tendered in June 2016 for a School Improvement Contract to commence from September 2016 for three years, with the option to extend for two additional years. Further details can be found in the School Improvement Contract Awarded. On quality (70%) and on price (30%), of the six short-listed companies that tendered, Bellevue Education International Ltd was appointed scoring the highest against the specification and was significantly cheaper, with the contract award being more than half the advertised contract value. In line with the Academies Financial Handbook, these services are provided ‘at cost’ by Bellevue Education – providing the service at cost, means no profit is made for this service. In 2017/18, in line with the contractual arrangement, the Trust is budgeted to spend £74,436 on School Improvement services with Bellevue Education International Ltd. In 2018/19, in line with the contractual arrangement, the Trust is budgeted to spend £76,236 on School Improvement services with Bellevue Education International Ltd. This is the final year of the contract and it has been agreed by both parties that the contract will cease in August 2019. Place Group Consulting Ltd is a company expert in advising and supporting the establishment of Academies and Free Schools, with a 100% record of all schools opened being Good or better in their first OfSTED inspections. Place Group was instrumental to the establishment of the schools in the Trust, providing the management consultancy required to successfully open the new schools on time and within budget. The majority of Free School proposers use project management consultancies like Place Group to establish new schools and they are essential in providing expertise and experience in opening new schools – support that is not required to the same extent when the schools are open. There have been no contractual arrangements or spend in 201718 and no contractual arrangements or spend in planned for 2018/19 academic year. Schools’ Buying Club (SBC) is an education procurement advisory business, providing tender management services to ensure that schools receive best value for money from their contracts, including outsourced services and utilities. SBC manages compliant tenders on behalf of schools and Trusts and provides ongoing contract management to ensure suppliers continue to provide high quality services. SBC does not charge a fee for this support, instead charging the supplier through a commission rebate model. In order to be fully transparent and compliant, the Trust went to the market for education procurement support in order to maximise the Trust’s aggregated back office purchasing power and receive best value. Bellevue Place Education Trust used an independent procurement consultant in accordance with its financial regulations and awarded SBC with the contract. In entering into the transaction the Trust has complied fully with the requirements of the Academies Financial Handbook and services provided by SBC are provided ‘at cost’. SBC has been compliantly procured by the Trust to be the procurement provider for large scale contracts across the Trust. This supports the Trust to focus on areas where the group of schools can jointly procure services, using the purchasing power of the group to gain best value for money. These are in areas like outsourced catering. SBC’s charging model means that the schools or Trust do not incur a direct fee for the procurement and contract management services – the successful supplier is charged between 0.75% and 5% of the contract fee. In 2016/17, SBC carried out the procurement for the catering services across all BPET schools, compliantly achieving economies for scale and a high quality meal service for our pupils. The contract has been awarded to Caterlink and with an estimated value of £1.1m over three year. No contracts have been procured by SBC in 2017/18 for BPET and we have no current contract plans for 2018/19. School Business Services (SBS) has been quoted in our previous accounts as a related party, as SBS had a 35% share in Place Group Consulting Ltd. This is no longer the case and are no longer a related party of Bellevue Place Education Trust.